Microphthalmia Prosthetic Eyes | Ocular Prosthetics, Inc. 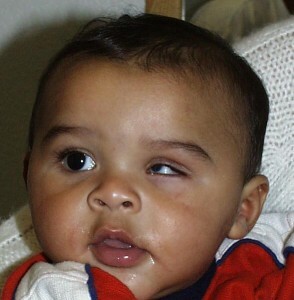 If your child has been diagnosed with congenital anophthalmia or congenital microphthalmia, and surgery is not recommended, you will most likely be referred to an ocularist. 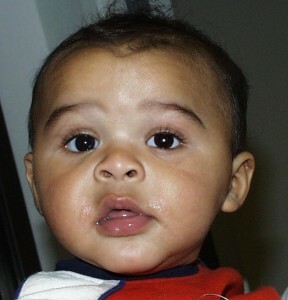 Their objective will be to restore your child’s appearance, and support normal eye socket development. This may include using progressive expanding conformers to enlarge the eye socket cavity for prosthetic eye retention. As a parent of a child in need of an artificial eye, your involvement is invaluable to the ultimate success of their outcome. Parents will be asked to play an important role throughout this process, including in-clinic participation and at-home reinforcement. Ocular Prosthetics, Inc. has extensive experience in the specialized fitting and fabrication techniques needed for pediatric patients. The relationship between ocularist, parent, and child will be based on open communication and trust. In advance of each procedure, your ocularist will inform you of the steps involved and expected results. This two-way communication will remove your fears and ensure a positive experience. We have included a link to International Children’s Anophthalmia Network (ican) under our Resources Tab – Website Links for more information and support for families who want to learn more about microphthalmia and anophthalmia. Stephen Haddad, B.C.O. has participated as a lecturer at the Ican Conference in Los Angeles, California. For more information on prosthetic eyes for anopthalmia and microphthalmia, please read our blog post, “Ocular Prosthesis for Anopthalmia and Microphthalmia”, found under the Blog Tab.